We are pleased to announce that the third maintenance release for Dorico, version 1.0.30, is now available as a free update for all existing users (including users of the free 30-day trial version). This update doesn’t add many major features – though we are working on several, as described in my most recent development diary update – instead focusing on fixing bugs (of which more than 80 have been addressed in this update alone), but we have made significant improvements in a couple of key areas, specifically in playback, and in the handling of rests. We added initial support for playback of grace notes in version 1.0.20, but we have improved playback significantly in this latest update. The interpretation of grace notes is something of a fraught subject, as performance practice differs through different historical periods, but hopefully we can agree on what we might consider a common practice interpretation of grace notes, and indeed agree on some terminology. A new group of options on the Timing page of Play > Playback Options allows you to control whether single unslashed grace notes such as the above should be played on the beat or before the beat, and which note duration is the longest that should be treated as a short appoggiatura, with any longer note durations being treated as a long appoggiatura as in the above example. You can specify the default length of a short grace note, expressed as a fraction of a quarter note (crotchet) at 120 quarters per minute, i.e. a note of half a second in duration. In the above audio example, grace notes are set to 1/4 the length of such a quarter note, i.e. 125 milliseconds or 1/8 second. You don’t really need to worry about the exact fraction, of course: simply adjust it longer or shorter to your taste. The piano used in both of the above sound examples, by the way, is the new Eagle piano in the latest version of Steinberg’s sampler/synth workstation and sound design tool, HALion 6, which was released a couple of weeks ago, and which sounds fantastic. There are still a few details with grace notes for us to resolve, such as ensuring that grace notes at the start of a flow play back properly, and we will return to this area in future updates. The playback of both measured and unmeasured tremolos has also been improved in Dorico 1.0.30. The Timing page of Play > Playback Options now provides direct control over how many tremolo strokes should be treated as unmeasured tremolos, and also on what the speed of a repetition in an unmeasured tremolo should be; as with the speed of grace notes, this is expressed as a fraction of a quarter note (crotchet) at 120 quarters per minute. Dorico also now correctly interprets the number of tremolo strokes on notes longer than a quarter note (crotchet), so if you write, for example, two tremolo strokes on a half note (minim), that will now correctly be played as eight 16th notes (semiquavers), rather than as four eighth notes (quavers) as in version 1.0.20. There are still some remaining issues with tremolos inside tuplets that we will revisit in a future version, but hopefully you will agree that these improvements represent a significant step forwards. 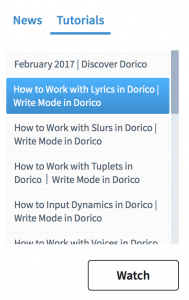 One of the most flexible aspects of Dorico’s approach is that you can have an unlimited number of voices active on the same staff. Another unique characteristic of working with Dorico is that you very rarely need to input rests: Dorico creates the appropriate rests in between the notes, so you can simply hit Space to advance the caret during note input, and leave the rest (pun at least partly intended) to Dorico. In rare circumstances, however, it might be necessary to input a rest of a specific length, for example, to override Dorico’s default rhythmic grouping in a particular musical context. Together, however, this can have a couple of consequences: firstly, you can’t tell the difference between rests you have explicitly created and rests that Dorico has created for you; and secondly, it’s not always obvious how to remove rests that Dorico has created, but which you consider superfluous. Dorico 1.0.30 aims to address both of these issues. 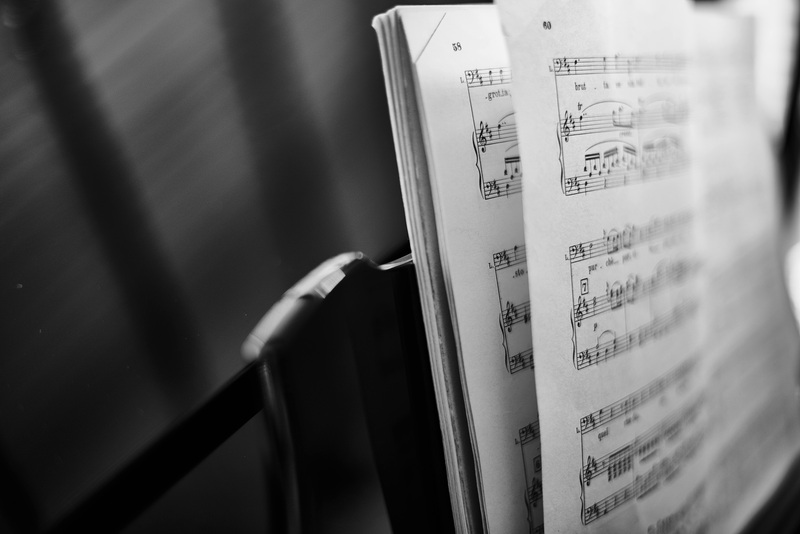 Rests that Dorico creates for you to fill in the gaps between notes are known as implicit rests (as opposed to explicit rests, which are those you have created explicitly using rest mode during note input). The new option View > Note and Rest Colors > Implicit Rests causes implicit rests to be drawn in grey instead of black when it is turned on; explicit rests continue to be drawn in black. To suppress rests that you don’t want to see, there are properties that can be set on notes (or indeed on explicit rests) that specify where a voice should start or end. For example, to prevent rests from appearing between the start of a bar and the first note in a given voice in that bar, you can select that note and switch on the Starts voice property in the Properties panel; conversely, to prevent rests from appearing following the last note in a given voice in that bar, you can select the last note and switch on the Ends voice property, additionally choosing whether or not the voice should end Immediately (i.e. show no rests even within the current bar) or After barline (in which case the remainder of the bar will be padded with rests, but that voice will not appear in subsequent bars, until it has any further notes or explicit rests). You can select either an individual rest or, as I show in the capture above, any passage of music, and simply choose Remove Rests to let Dorico figure out what needs to be done. We hope this will eliminate any confusion and frustration in working with rests in Dorico. Although Dorico still lacks an auto-save feature that saves your project periodically while you have it open, we have in version 1.0.30 added an auto-backup feature, which keeps a number of previous versions (by default, five), rotating them each time you save. This offers you some amount of protection in the very unlikely event that the current version of your project should become corrupted somehow. You can change both the location where your backup projects will be saved, and the number of backups to keep for each project, in the General page of Preferences. The Dorico YouTube channel is an excellent resource for learning how to use Dorico and how to get the most out of your new music notation software. My colleague Anthony has already completed two series of tutorials, covering Setup mode and Write mode, and a third series on Engrave mode is coming soon. The Steinberg Hub window that appears when you first open Dorico, or by default when closing the last open project, now contains a new Tutorials panel that shows the 10 most recent videos uploaded to the YouTube channel. Simply double-click the one you would like to watch, or select it and click the Watch button. You can also visit the YouTube channel directly by clicking the Videos button in the top right-hand corner of the Steinberg Hub window. If you’ve not checked out the channel, I strongly recommend that you do. There are many other small improvements in this update, including a new thick barline type, new options for brackets and braces (including allowing you to specify how far from the initial barline the brace should be positioned), control over whether lyric verse numbers should be appended with a full stop (period), a new appearance for approximate metronome marks, the ability to position bar numbers to the right of the preamble instead of aligned with the systemic barline, more comprehensive transpositions for horns, low brass, and low woodwind instruments, and others besides. Please do take the time to read through the Version History document, which provides a comprehensive list both of the new features and improvements, and also the bugs that have been fixed in this update. We are continuing to work hard on the next update, which we expect will be ready some time in the spring, and which will include chord symbols, piano pedalling, editable note spacing, and hopefully a number of other goodies. In the meantime, do please spread the word about Dorico to your friends and colleagues. I’ll leave you with another video from composer Göran Arnberg (he of Etude Polymétrique fame), who has written a cover version for piano and strings of Wintergatan’s Marble Machine, and notated it in Dorico. Until next time, enjoy the new Dorico update. I would love to try Dorico but it seems Steinberg is not interested in sending me the trial version download link. Already registered twice on the website and still no email from Steinberg with the download link. I even sbmitted a ticket to their support explaining the situation but…no answer from Steinberg. @Bruno: I’m sorry you’ve not received your trial activation code, nor a reply to your ticket as yet. I will email you directly with the information you need. I look forward to the next version that enables chord symbols. Also, I do hope that when this feature is implemented, it will also recognize chord symbols in an imported MusicXML file. Keep up the good work! Hello Daniel, thanks for these improvements! Do you have an idea when expression map (to support virtual instruments) will be available? @Gil: Support for VST Expression Maps is now in Dorico, but I wonder whether perhaps you’re asking about a specific VST Expression Map for a particular sound library? I was asking about the ability to use East West products on macos: I found the answer on forums: Play 5.0.1 and QL Spaces are working in Dorico (at least with the vst2whitelist.txt manual modification trick…), so it’s good news for a possible future switch :). My other question is about east West expression maps for EWQL Hollywood Percussion and woodwinds: will Steinberg take care of these two in a near future? Thanks again for your efforts and your answers! @Gil: I believe you can download some VST Expression Maps for various EastWest libraries from here. Thanks for the link Daniel! As it’s missing Hollywood Woodwinds and Hollywood Percussions, I was wondering if Steinberg plans to build these VST Expression Maps, or if this is someone else? @Gil: I’m afraid we probably won’t be in a position to build these ourselves any time soon. You might try posting something on either the Dorico or the Cubase forums to ask whether any other users have already built VST Expression Maps. I have also tried multiple times to request the free trial unsuccessfully. I started trying on 3/3/17 and then contacted support. I had multiple emails with Josh Matlock at Steinberg/Yamaha support who finally told me on 3/8/17 that I should check my spam folder (which of course I had done before contacting support)–and that if I did not find it there, I should contact the Germany team, which I did. I received not even a reply from Germany, though I was sent a survey to comment on the quality of the support. I am a Sibelius user for the past 15 years, and I have been looking forward to Dorico, as Sibelius became very unfriendly to use ever since it was bought by Avid, and from what I have read of Dorico, it seems to be intuitive in a similar way as was the original Sibelius. Any help that can be offered would be appreciated. @Paul: Sorry to hear you’ve been having problems getting hold of the trial version. I will email you with some more details. I love Dorico so far and I would love having a few more feature. 1. 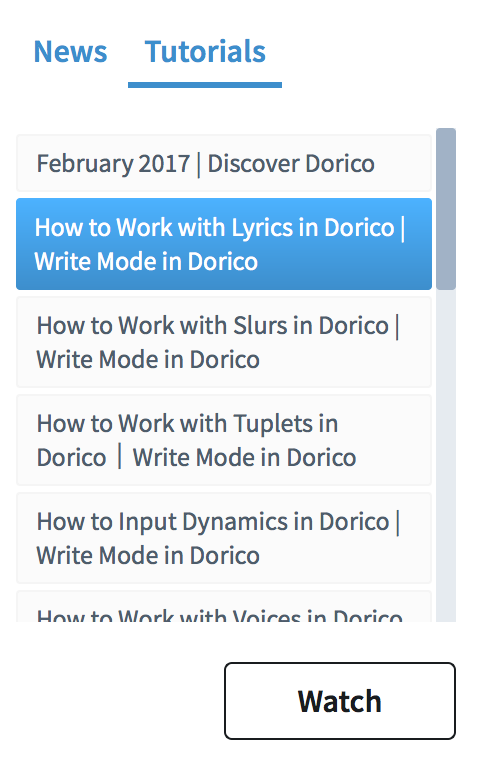 Chords: Dorico planing to add guitar chords, I would love having this feature aswell http://www.mu-sig.de/Theorie/Tonsatz/Tonsatz04.htm (se the pictures on the page). I would like the soprano and alto share the same system and the same for the boys as in the example link. With the S, A, T, B showing in the beginning of the hymn. (Instead of splitting them up to separate systems). I would love to be able to add this as an ensemble group. 3. Instrument/ensemble favourites. Please let us create our own ensemble favourites. If I always wants one violin, one flute and two pianos; then I would love to be able to save this group in ensemble. So next time I want to write a different tune with the same instrument, then I could just quickly add my own favourites from ensemble instead of adding a new solo player each time. 4. Sound quality, I mean REALLY? We need a better sampleset!!! I have been using Chior with piano and the pitch if the choir is horrible and I also found big issues with the rhythm… I using the latest update available at the moment but this issue is in the sampleset. I succeeded adding ARIA player and the issue is gone. The choir is now pitching and sings the rhythm as shown so please Daniel at Dorico, add a better sound pack. 5. If I copy a few notes from the alto system and paste the notes to the tenor system then it gives me to different voices. Is it at this point possible to compress them intro the same voices? Please tell me if it’s possible at the moment I just press end of voice and start of voice. This is the main issues I found so far using Dorico. Maybe these features are already in Dorico but maybe I can’t find them because of my knowledge. Please let me know. Thank you this software is amazing!